VMware still sits atop the virtualization market, but its hold is shrinking. Even though the titan still holds a vast majority of the virtualization infrastructure software market share (we found reports showing 91% market share), the buzz around a reverse merger with Dell has investors holding their collective breath. Competitors in the virtualization space are going for the kill, the main one being Microsoft. Starting with Server 2016, Microsoft took a few big shots at VMware’s virtualization superiority. Namely, they made it more expensive to virtualize Windows servers with vSphere. They also started giving away Server 2016 Datacenter licenses. Microsoft picked up market share in the only way it knows how — bundling, freebies, and license audits. Meanwhile, Citrix has also made gains on VMware. In particular, it is growing as the virtualization solution for an increasing number of companies. The reasons? Citrix is more affordable, works well with Microsoft, and has a suite of tools that just work. Here’s how the relatively small Citrix has fared in the big virtualization shuffle. Citrix has worked with Microsoft for nearly three decades. Their first collaboration was in 1998 with Windows Terminal Server Edition. This longtime partnership has led to the two vendors’ products working really well with each other. For instance, Microsoft’s Hyper-V can run XenApp/XenDesktop Essentials, which given what Microsoft is doing to VMware is a big deal. This combination provides an alternative virtualized Citrix environment to the traditional VMware platforms that have dominated the virtualization landscape for so long. An even more recent Citrix-Microsoft collaboration makes it possible for Windows 10 Enterprise users to deploy Windows 10 desktops on Azure by using XenDesktop. This enables organizations to quickly deploy cloud-based virtual machines to users whenever they are needed. For now, Citrix succeeds when Microsoft succeeds. Citrix has a backdoor into the big market share that Microsoft has bitten off with Server 2016. Case in point: The Citrix Workspace app (formerly known as Receiver). Citrix Workspace allows users to connect to a Citrix server and run virtual desktops or single apps from a web browser. The app works on Android, Chrome, iOS, Mac OS, Linux, and, of course, Window. Until about a year ago, they were even still offering Receiver for Blackberry. When talking about how the products, we need to talk about Citrix Hypervisor (formerly known as XenServer) — particularly because it’s their closest competitor to VMware’s ESXi. Even the free version of Hypervisor is more feature-rich than VMware’s equivalent. That’s the big reason Citrix is gaining on VMware. Citrix wants you to use their product. The extensive variety of features in both free and paid versions of Citrix products has virtualization pros taking notice. Just look at the forums praising Citrix. It’s no wonder that Citrix is a fan favorite. They’re easier to work with compared to VMware — no matter the task. It’s a vast understatement to say that companies are moving from expensive on-prem solutions to inexpensive virtualized environments. Even companies that find themselves somewhere in the middle are turning to Citrix for two reasons — accessibility and cost. Accessibility. To put it plainly, Citrix is much easier to manage and maintain than VMware. You have full control over how much you’re want to manage and whether it’s deployed on-premise, completely in the cloud, or somewhere in between. The Workspace app gives users multiple ways to virtualize and deliver desktops or apps with one, integrated system. Another product from Citrix, Sharefile, is integrated into Workspace and XenMobile, giving you the ability to easily and securely share files across your organization. You’d expect a fully built-out enterprise system to be difficult to use. Citrix has proven that doesn’t have to be the case. The UI encourages the adoption of seemingly complicated technologies such as virtualization and shared desktop applications. Price. It’s hard to beat free, and Citrix certainly has a number of feature-heavy free trials on most of their heavy hitting products, like Hypervisor and Workspace. Once the features in the free trial get your team on the Citrix bandwagon, your supervisor is probably going to like how much less you’re going to be paying for Citrix, compared to VMware. Users know Citrix is a solid solution for consolidation and management. 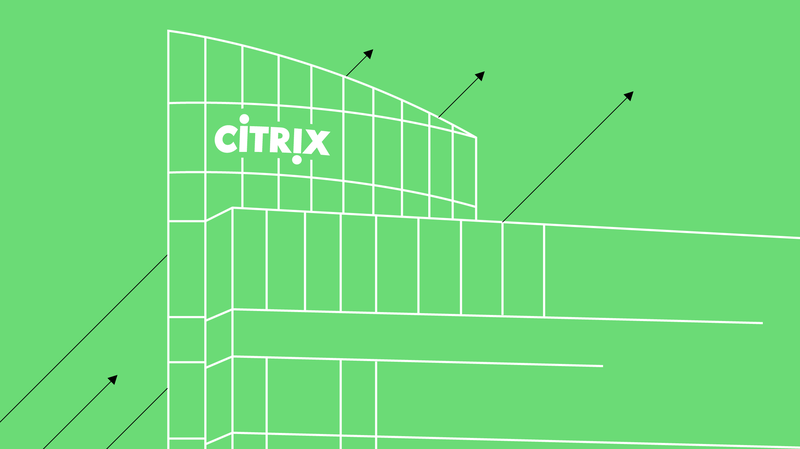 Citrix is not yet the titan when it comes to server virtualization, but it is climbing its way to the top. Citrix doesn’t have a very big market share The most optimistic reports show they hold about 10 percent market share. We’d argue that’s pretty good considering the size of their competitors — and Microsoft’s entry into the space. Citrix should be bigger, and might be in the future. Citrix is capitalizing on its strengths and streamlining its product line to the point that industry leaders are taking notice. They are able to win in areas where VMware and other virtualization vendors have neglected or failed in — like cloud readiness and overall affordability. Cloud-based virtualization has become widely available on many different platforms. Citrix has created one that is set to attract a lot of attention. But just because one vendor is the top dog doesn’t mean you should latch onto only their products. In order for your business to remain competitive, you must constantly evaluate services to determine the best fit for your team.